The Metropolitan Museum of Art is presenting Framing a Century: Master Photographers, 1840-1940 which will include Julia Margaret Cameron. The exhibit lasts through September 1st. Images from the exhibit can be seen here. This exhibit shares images from photographers who, in the first 100 years of the medium, helped propel photography forward into an art form of expression. 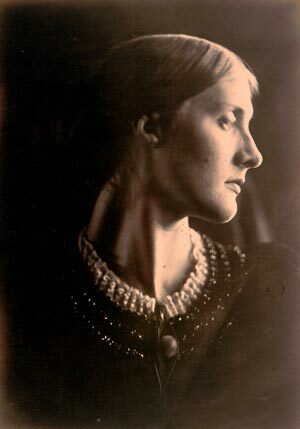 Julia Margaret Cameron interests me. She embraced many of the elements of Pre-Raphaelitism in her work, including a series of photos based on Tennyson’s Idylls of the King. I will link to my favorites below. I would love to see those in person! Elaine at Camelot, which is almost stunningly sad and morbid, yet peaceful. What wonderful timing! I will be at the Met next week and I’ll be sure to see this exhibition. I love the newly designed layout for this blog! It looks lovely. Thanks for the links! I can’t wait until I get back from Colombia and have a chance to check them all out!